Pregnancy Back Support for an enjoyable healthy pregnancy. Babybellyband® Shoulder Straps provide even more support and relief to abdominal and back (lumbar, sacroiliac discomfort). 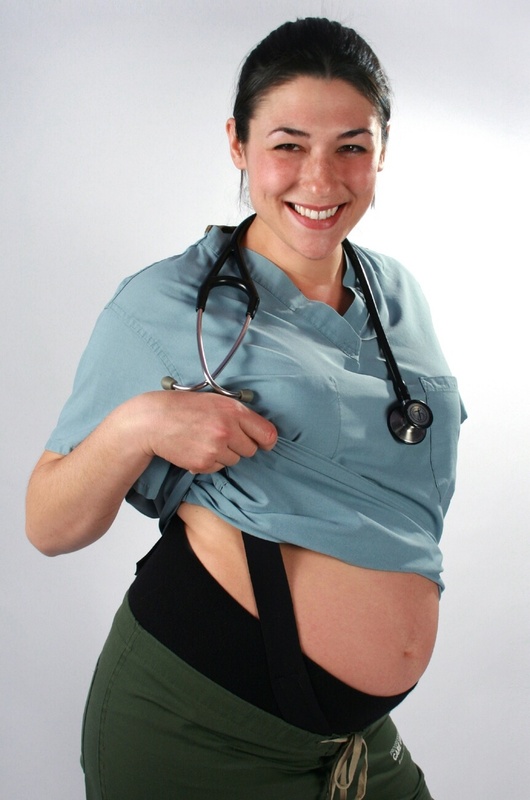 The shoulder straps Velcro® attach to the Babybellyband® Abdominal band (sold separately) and are adjustable to your own comfort and support level. The shoulder straps provide additional lift to the abdomen relieving pressure and supporting the back, round ligaments (front, lower abdominal area) and pelvic floor. The shoulder bands can be wrapped under the abdomen to give extra lift and are especially beneficial for hernia and diastasis recti support. Get relief and support where you need it most with fully moveable and adjustable shoulder straps. Try different configurations: the bands can be worn criss-crossed or straight in the back or front depending on needed support, comfort, or style. Highly recommended for all pregnancy back support needs! Porous neoprene interior; soft nylon laminate exterior. Latex-free. Honestly, the Babybellyband by itself helps, but the Shoulder straps are a must. I have an inguinal hernia and I’m a nurse. I really don’t know how my groin would hold up without the support. Definitely worth the purchase. I am so thankful for your products and highly recommend them! FYI, the shoulder straps were a must for me to keep the band in position.